The liturgy that this initial begins remains to be determined. The subject of this initial is unusual. It may represent St. Gregory I, appearing as a Benedictine monk, having divested himself of his cope and the papal tiara, which appears on the floor in front of two Benedictine monks. 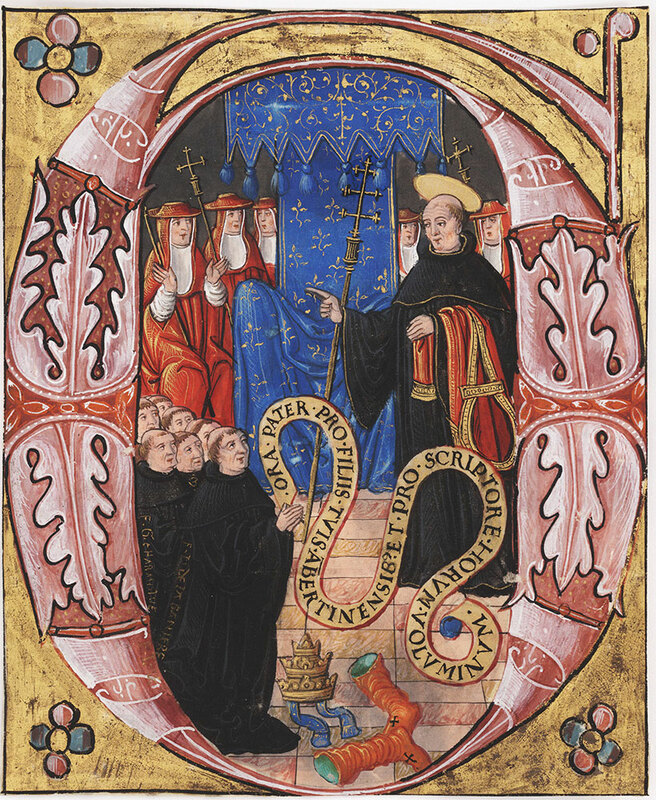 One of these monks holds a scroll inscribed, "Ora Pater pro filiis tuis Ambertinensibus et pro scriptore horum voluminum" (Pray, Father, for your Ambertine sons and for the scribe of this volume). An inscription on this monks robe identifies him as "F. L. de la Baniere." 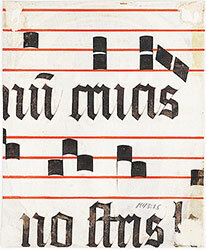 A second monk, behind the first is also identified by an inscription as "F. G. C(?) Harmolue." These monks may have resided in a monastery in the town of Ambert in the Auvergne region of France.<p> Lewis E M 43:15-18 are from the same manuscript.